Kaysorn Residence - Chang Phuak, Chiang Mai, Thailand - Great discounted rates! 8.8 out of 10 based on 42 verified user reviews via Agoda. 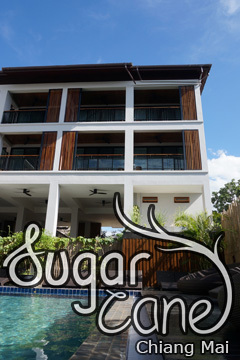 Kaysorn Residence is perfectly located for both business and leisure guests in Chiang Mai. The hotel offers a wide range of amenities and perks to ensure you have a great time. Facilities like free Wi-Fi in all rooms, laundromat, private check in check out, taxi service, ticket service are readily available for you to enjoy. Each guestroom is elegantly furnished and equipped with handy amenities. Entertain the hotel's recreational facilities, including golf course (within 3 km), garden, games room. No matter what your reasons are for visiting Chiang Mai, Kaysorn Residence will make you feel instantly at home. Kaysorn Residence - Chiang Mai classifies itself as a 2 star hotel.